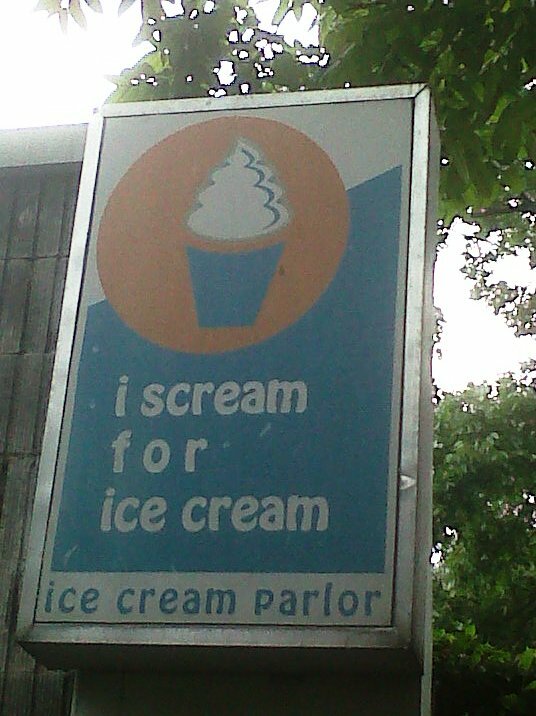 For long, ice cream from PT. Rasa had became the best ice cream I ever had, noted that my favorite one is the rum raisin flavour. But, somehow a couple weeks ago, I went to this retro restaurant in the middle of Braga, well you probably already know, Sumber Hidangan. 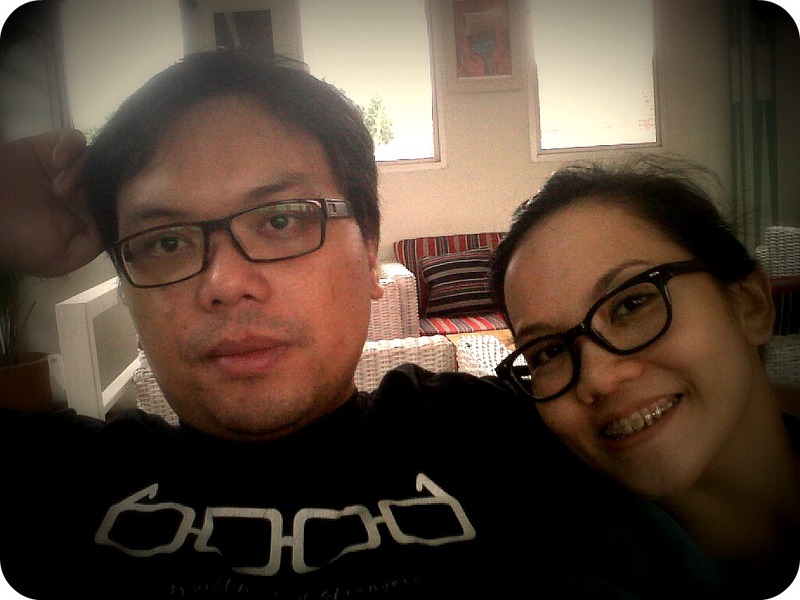 I went there with couples of friends after a long walk through Kampung Braga, a survey for one of my class. 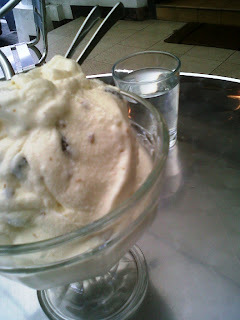 Suprisingly, the ice cream was tasted great, I was order rum raisin ice cream that was named something Italian *I forget*. It had liquor in it, but well you always can forgive rum isn’t it *my defences*. Yesterday, my husband had this craving on ice cream, and for a week we’ve been trying to have that ice cream at Sumber Hidangan, but it was rather weird restaurant, only open till 1 or 2 pm *I guess*, because when we went there at 3 pm, it was always closed. 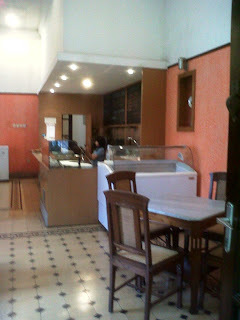 So, yesterday we decided to try another ice cream restaurant, it’s called “I scream for ice cream”, quite unique and catchy name. 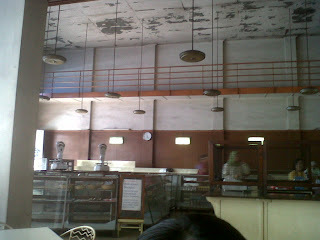 The place was at Jl. 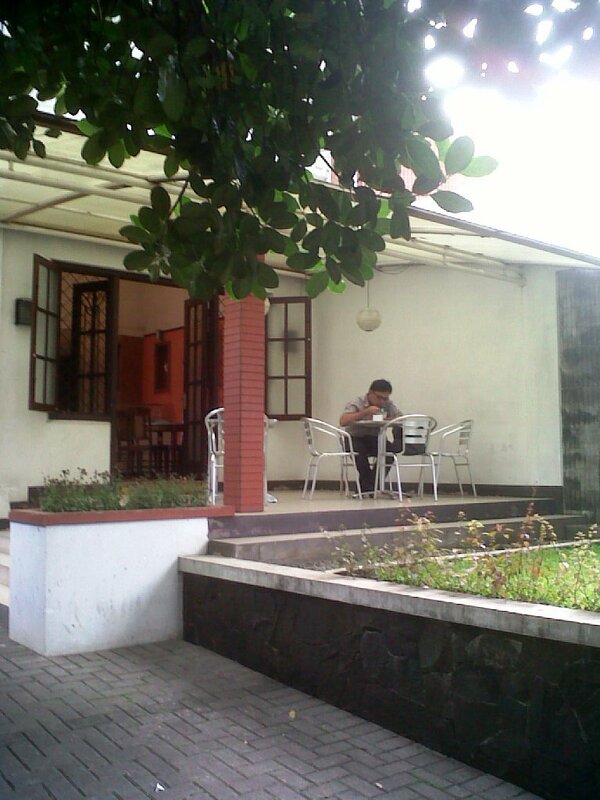 Hariangbanga, near Universitas Islam Bandung, behind Sawunggaling Hotel and it was little and comfortable place, great place to hangout in the afternoon with friends. The ice cream? Taste great also, we ordered marblelicious package, contain of three scopes rum ice cream and with raisin and coffee candy toping. I guess we picked the wrong toping because the ice cream already (very) sweet, it should be raisin and maybe nougat. 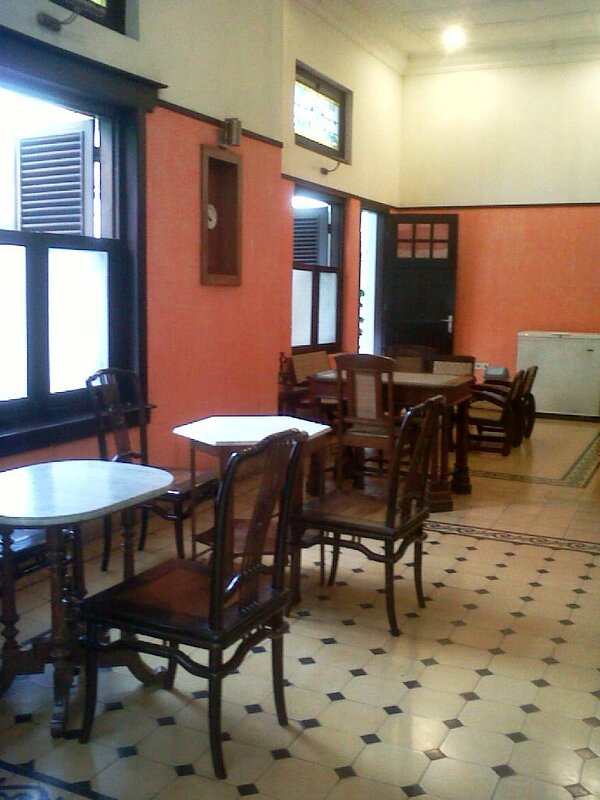 The other place to have special ice cream is Braga Permai, it is also located in Braga. We went there two weeks ago and the traffic was quite packed, so we parked our car in front of the abandoned building of Sarinah. Well, there was a shooting at Braga Permai, at first we thought it some kind cheesy kind of film with low budget because the talents was not have star quality at all *in my opinion* and after a while we knew that they was shooting for a video clip for one of rather famous band, but I absolutely not their fans at all. 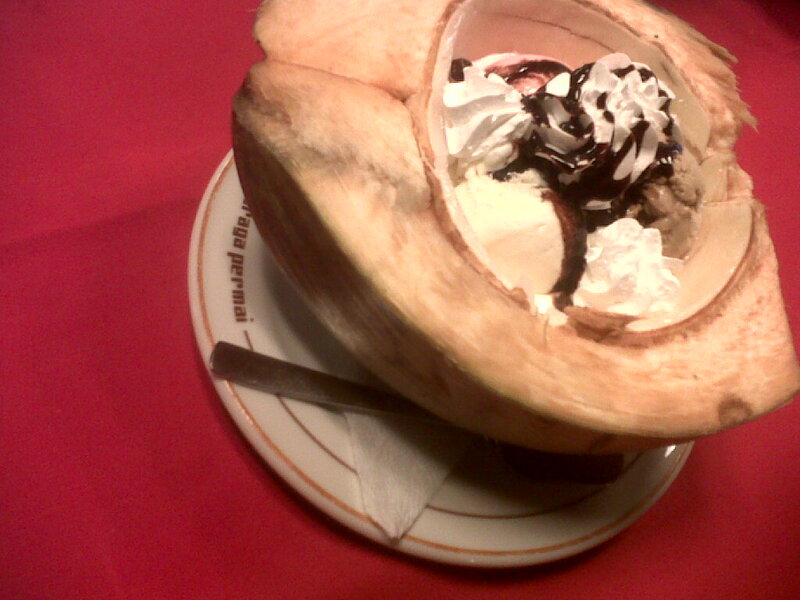 Ok, back to the ice cream, we ordered, of course, rum raisin ice cream, the price was quite expensive 20k rupiah (comparing with Sumber Hidangan, with only 7k rupiah) and it surprised us that the ice cream was put in the coconut fruit or dawegan. It was cute, and the ice cream tasted great, it was one of a kind afternoon, eat ice cream while watching people was shooting for video clip. 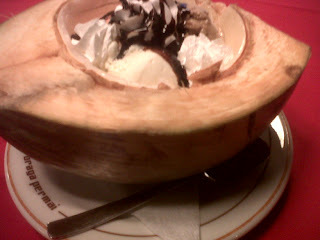 So, from all four ice cream places I ever went, the best one is Sumber Hidangan, because it was cheap and tasted superb. If you ice cream addict, you should go there, or if you want other experience to taste ice cream just go the this places. Bandung without ice cream, well your life just simply plain.